Coaching Institute or Self Study for IIT JEE and NEET Preparation? 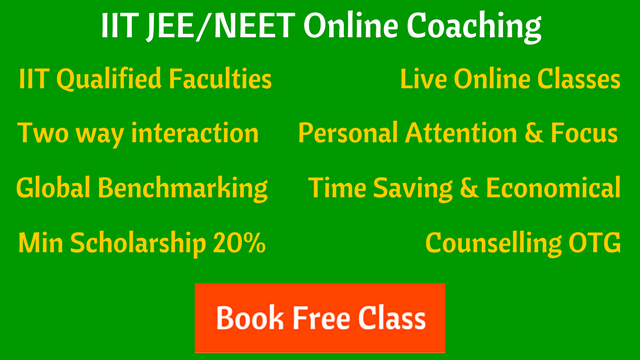 Coaching Institute or Self Study for IIT JEE and NEET Preparation? Coaching Institute or Self Study for IIT JEE and NEET Preparation? This is a very strange question from many JEE and NEET aspirants. A coaching or training will help you to achieve your goals at every stage of your life. Right know, it’s about entrance tests preparation, later it will be acquiring skills and certifications. Coaching Institute or Self Study for IIT-JEE/NEET Preparation? 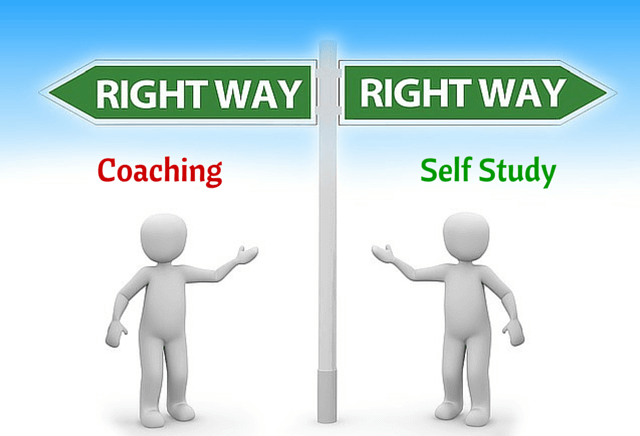 It should not be about self-study or coaching comparison. Self-study, guided and monitored by coaching teachers, will help you to clear your target exam. Self-study is very-very important. You may have India’s best teachers of IIT-JEE and NEET to teach you, but if you don’t study and practice at home by your own, it will be very difficult to achieve the desired result. The students who are getting into IITs and top medical colleges, are the ones who are well prepared and consistently work hard. Teachers in coaching helps a lot in JEE/NEET Preparation. With systematic and well defined process to prepare for entrance examinations, here are some reasons why coaching / good teachers are irreplaceable (gold). Doubts leads to frustration, procrastination, disappointments and many more roadblocks in your preparation. You have to clear your doubts asap. There are no better people than your teachers to clear your doubts. It’s not about how many number of books you read or questions you solved. It’s about timing, precision, accuracy, shortcuts. In coaching, everything is a part of a well defined strategy. How many chapters you need to complete in a specified time, when to practice more tests, what should be the right approach to solve a problem, how to solve conceptual questions, common errors to avoid. These are some of the areas where your teachers and mentors will help you immensely. We have seen this many times, during self study without any monitoring and support, students miss out on the opportunity. They get easily affected by distractions when nobody is watching or keeping an eye on their performance. You can’t clear JEE or NEET without following a disciplined process. Period. Who performs the role of giving you feedback on your tests? Who will correct your mistakes? Who will motivate you when you feel low some day? The teachers in coaching have many years of experience of preparing students for these examinations. Not just in terms of academics but also in handling mental pressure of students. Combination of self study and coaching will give you the best result in IIT-JEE and NEET.